Last week saw Azmara from Ensidia grace us with his thoughts on how to create an ideal restoration UI. 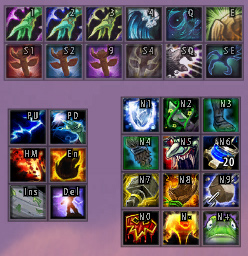 He covered macros, key bindings and the all important raid frames. Today I’m bringing you part two of his guide. This focuses on more generalised UI design tips and how your hardware can benefit your raiding. You can read part one here. 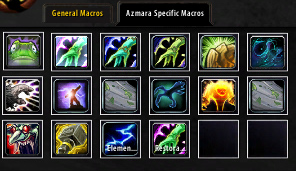 Having sorted all your keybinds, setting up your macros and installing your chosen raid frames, the next step is deciding where to put everything. In truth, this is the most important part. You can have all the tools in the world but if you can’t find them when you need them, it’s irrelevant. 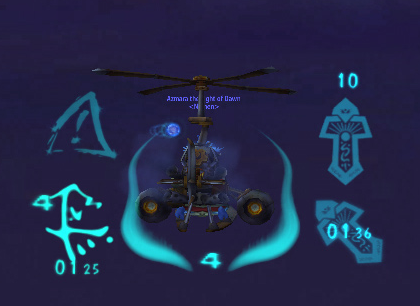 As a healer, the centrepiece of your UI is your raid frames. Unlike a tank or DPS, we can’t just place these in a corner out of the way. Your entire job depends upon your ability to heal the right people are the right time. You want your raid frames to be fairly central. This allows you to position everything else around them. Ideally, if you’re checking the time until the next defile, your tank’s health is only an inch or two away. 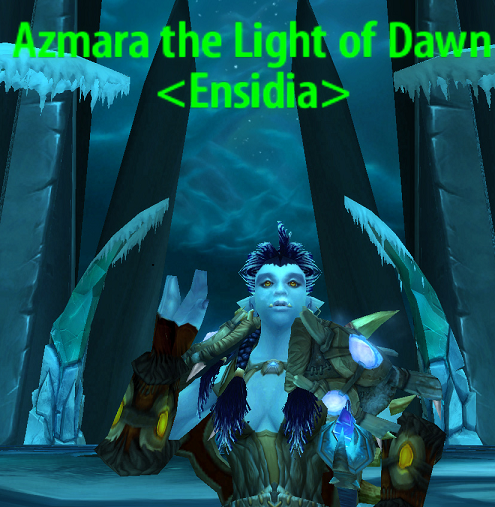 As a healer, your first priority is always yourself; a dead healer can’t heal anything. As such, you don’t want your own unit frame too far out of the way either since it provides the easiest manner of monitoring your own health. This also saves time as you don’t need to look for your own health in a group of twenty four other players. Boss modes also deserve prime screen space. My timers are just to the left of my own unit frames. The warning messages (Defile on YOU!) appear immediately above my raid frames so they’re almost impossible to miss. Most of the boss mod addons also provide audio warnings (Bigwigs can be configured to provide a count down if you desire), so placing them more out of the way is forgiveable. I mentioned in my previous article that action bars are almost redundant data. You really want to learn your keybinds and if you know them all, why are they still on your UI? Remove them and save some space. Another thing to mention here is clicking. A lot of people will try and argue that they can respond just as quickly as anyone else while clicking their abilities. Simply put, this is a lie. Ensidia will decline any player who is a clicker. If you’re found to be doing this after joining, you will be kicked. This may sound harsh but clicking is incredibly inefficient and it is impossible for a clicker to reactively use abilities faster than a player utilising keybinds. The biggest adjustment when removing action bars is still monitoring your cooldowns. 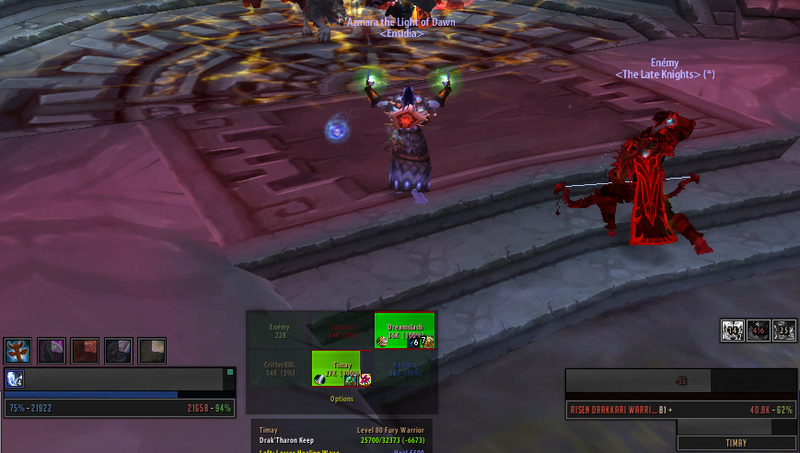 Personally, I use two addons to do this; “SexyCoolDown”, which is similar in function to ForteXorcist’s cooldown bar (but more lightweight) and an addon called “Filger” which tracks buffs and cooldowns (such as Riptide, Tidal Waves, Elemental Mastery and so on.) This is an incredibly useful and lightweight addon, however due to being entirely LUA based I would recommend Power Auras for those who are not comfortable with editing LUA files. The final thing I would like to discuss before closing this article is your physical equipment. Obviously having a good PC will help your performance in raids but the one thing that is frequently overlooked are the important of good peripherals. A good sized monitor is a godsend. I personally play on a 22″ HD monitor at resolution 1680×1050. It’s a nice size and gives you a lot of screen space to play with, much more than on a 17″ or 19″. Another thing worth investing in is a good keyboard and mouse. I use the Logitech G15 keyboard with the Razer Naga mouse. Firstly, this gives me a whopping eighteen additional buttons on my keyboard, all within easy reach of my normal hand positioning. The Razer Naga mouse boasts and additional twelve configurable buttons in addition to running at a much higher sensitivity than standard mice (4000 DPI versus 800-1200 DPI.) While the Naga is an expensive choice, there are other Razer mice available for between £25 and £30. You’ll find these much more comfortable to use during long periods of gaming. In closing, if you managed to make it all the way through this guide, I certainly hope you managed to pick up a few tips from it. I also hope I helped reinforce the knowledge that there aren’t any super secret keybinds and macros used by all the world class players. For those of you interested you can find my own UI updated and maintained over on the Ensidia website here. Over at the Ensidia website you can also get the opportunity to ask questions and read guides written by some of the top players in the game, along with uploads of some excellent UIs and even some random stuff like Spotify play lists and some of the other games being played at the minute. My final thanks goes out to Zing for providing me with the opportunity to write this guide and to everyone who took the time to read it. Best of luck in Cataclysm and beyond! Once again, I’d like to thank Azmara for producing this guide for us. 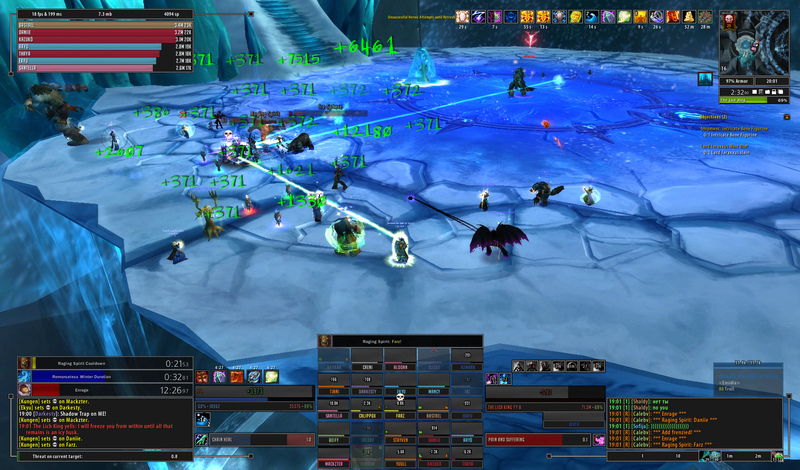 It gives an interesting twist on creating a good, raiding UI from the perspective of a main spec healer. I’d also like to draw attention to two articles I published a long time ago, reviewing the benefits to be gained from using gaming keyboards and mice. You can find the keyboard article here and the mice article here.